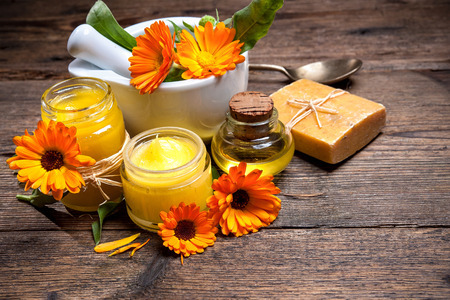 Self Cure Remedy details of Apply calendula for the care and relief of Bee Sting, including effectiveness and popularity scores of the remedy. Calendula can reduce itching and swelling. It has antiseptic properties which can also help prevent infection. Apply calendula cream or calendula infused oil on the affected area. The self cure remedy of Apply calendula for the care and relief of Bee Sting has an effectiveness score of 2.5 and a popularity score of 2 on the self-cure system.